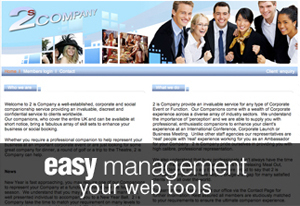 CMS custom designed Content Management Systems. 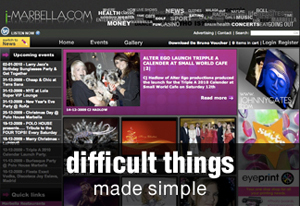 Our new fully extensible custom built Content Management System gives flexibility and control to non technical users to manage, control and deliver fresh web content to your web pages without having to call your web designer on a frequent basis. .
Media - Parties - Events websites. The Pulse web CMS software enables clients to have total control of web applications, while providing the flexibility to make it easy for anybody to manage web site content. New features have been added to our cms, now offering control of SEO search engine marketing features. Basicly CMS systems can be used to manage workflows, create and edit / update information data that can been seen or stored on your website and database system, including written texts and images on each page of your website Increase customer satisfaction and decrease support inquiries. The key idea behind a Content Management System, a really easy way to manage and categorize your content. Upgrade information, services and products without having to call back the web designer. CMS websites create and send out invoices, control customer requests and customer satisfaction. Overall, a CMS is an excellent way to make sure that your site welcomes visitors with your latest news.